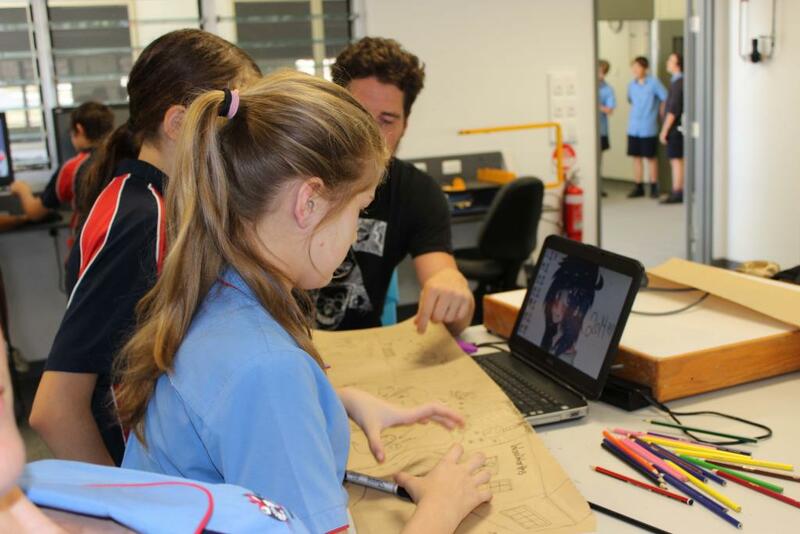 In 2013-14, Tristan was involved in the Pimpama State Secondary College Designer in Residence Program, as funded by Arts Queensland. The program involved 13 weeks of working through inquiry, ideation and implementation design thinking phases with a selection of year 8 students at the college. The result was a booklet proposal designed by students that defined an innovative set of scenarios that could enable a strong relationship between the school and the new Woolworths being nearby. See the post-event toolkit here. Read the Arts Queensland Case Study here.